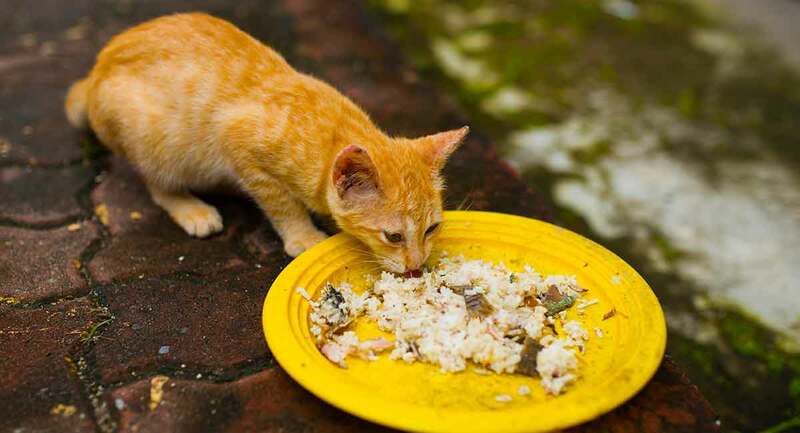 Can cats eat rice safely, whether as a major part of their diet or just as a treat? 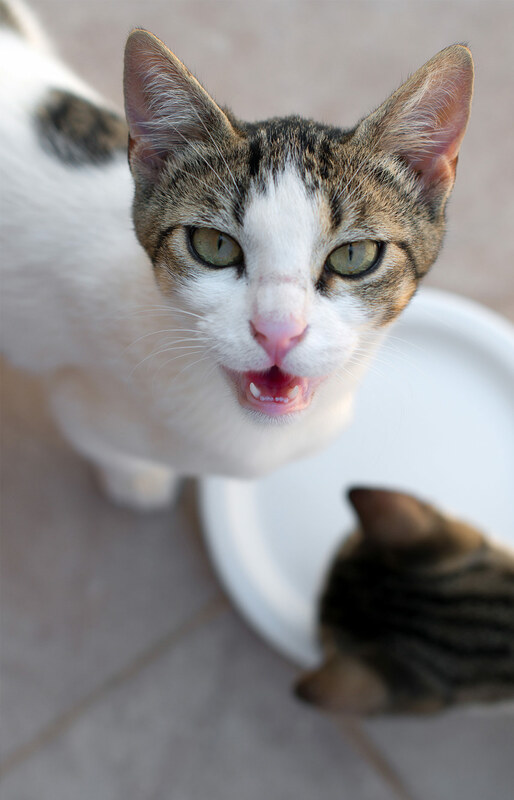 You may be surprised to know that your cat may already be eating rice on a regular basis! So rice isn’t overtly dangerous to cats. But how is it that your cat is possibly already eating rice? And can cats eat rice and feel health benefits from it? Cats are carnivores, and they truly need meat in order to survive and thrive. Rice, of course, is definitely not meat. Rice is a part of the cereal grain family. Each grain of rice is actually a seed, which has been harvested from a species of grass. The stems are cut out, sun dried and threshed by hand. This process is carried out by beating the rice heads on a bamboo platform. It’s grown in wetlands, commonly in Asia, then transported all over the world. Rice is a major player in the world of food. Per hectare, rice provides more calories than any other cereal crop! In recent years the subject of rice as a human food has come into question. Seriously! A lot of people are now removing it from their diets altogether, over concerns with the carbohydrate levels and potential association with dementia and other conditions. Which is very confusing, as many associate it with being a very healthy food. So cats can eat rice, but should they? No doubt there is a table food or three that your cat would love to devour. And for many kitties, rice is no exception. Plain rice might not be their first choice, but given half a chance a lot of cats will happily munch down a rice-y meal. But does that mean it’s healthy? On the whole, rice isn’t a hugely nutritious food, but then again neither is chocolate; and we all know how many tons of chocolate humans consume annually! Rice is not dangerous to cats, in moderation. But that isn’t the end of the “cats and rice” conversation, either. Why Do Cats Like Rice? Cats dearly love to get into all sorts of mischief, and for some kitties purloining a bite of forbidden foods is a major score! But just because a cat is drawn to a particular people food, like rice, that doesn’t automatically mean that she should have it. My senior kitty still retains his youthful love of random human food. But that doesn’t mean he is allowed to indulge, even if he does manage to get a few licks in every now and then! Rice is usually a companion dish to other foods, like chicken. That in itself may explain why cats eat rice when they get the chance! Is Rice Safe For Cats? For the most part, rice is a perfectly fine food for your cat to consume, just so long as it’s not fed as a main course day in and day out. In fact, chances are that your kitty is already eating a bit of rice. Rice in cat food is a common ingredient. If you’re wondering about feeding cats rice, take a look at the cat food label sitting in your pantry or kitchen. The answer to, “Can cats eat cooked rice?” may well actually be staring back at you! However, this doesn’t mean rice is good for them. In cat food, it is what is known as a filler. Feeding rice to cats is normal, but not necessary. It is meant to be an inexpensive way to “fill up” the food content and your kitty at the same time. But as we’ll learn, too much or the wrong rice isn’t nice! 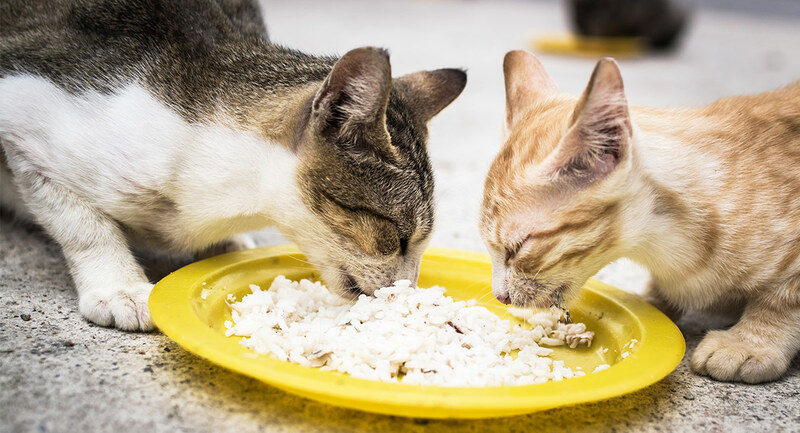 Aside from the question of whether or not cats can tolerate rice in their diets, there is a larger question about whether or not cats should be eating rice at all. Why? The answer goes back to the fact that cats are obligate carnivores. Do cats eat rice in the wild? Of course not. Their natural, original diet in the wild consisted of mainly proteins, with a scarce amount of carbohydrates. Despite the fact that cats are obligate carnivores, manufactured cat foods commonly contain lower proportions of protein and increased amounts of carbohydrates. The main reason for this is, you guessed it: economics. It’s simply cheaper to produce a cat food with a higher ratio of inexpensive carbohydrates than it is to source and prepare a feline food chock full of protein. Researchers have conducted numerous studies to determine the optimal feline diet. Many experts consider the ideal diet to be one of mainly protein and fat, with a tiny amount of carbohydrate. Is Rice Bad For Cats? Rice in itself is not bad for cats. But too much of any food is just that — too much! 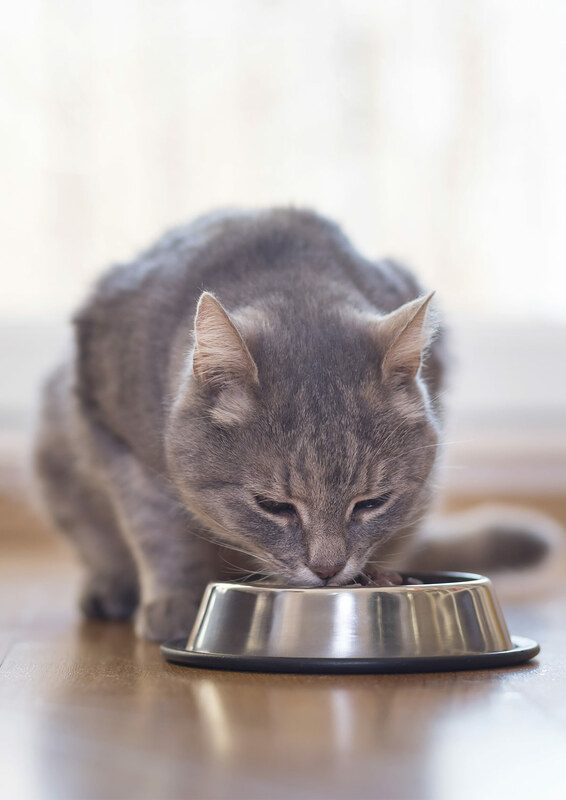 Though your cat may already be eating rice as an ingredient in his food, you may feel like sharing your own rice with him, or giving him some as a treat. There’s nothing wrong with that. But rice doesn’t need to be part of a cat’s diet. So as “filler” it may result in your cat putting on weight. While most of us wouldn’t think of giving a cat a diet of rice alone, doing so would be most detrimental to felines. 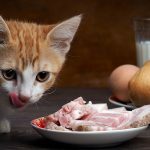 Proteins are needed for a complete and well balanced kitty diet, so happily the answer to, “Can cats eat rice and chicken?” is the same as, “Can cats eat chicken and rice?” Most definitely! Is Rice Good For Cats? Rice is, by and large, neither particularly good nor particularly bad for cats, provided it is cooked and only eaten in moderation. There is actually a chance that rice may be good for certain conditions in a cat. Continue reading to find out about the possibility of using rice for cat diarrhea problems. Can Cats Eat Raw Rice? Can cats eat rice even when it hasn’t been cooked? No! Uncooked rice should be avoided. First off, it’s harder to digest, which can result in bloating and pain. And uncooked rice also may retain traces of pesticide and other unwanted residues. It’s an all around bad idea. But can cats eat rice of other types? Can Cats Eat Fried Rice? Your cat would probably love to eat fried rice! This is largely because typical fried rice includes other ingredients, like eggs and meat. However, fried rice is often greasy and generally unhealthy. If you want to share your fried rice with your cat, it’s best if it’s a homemade dish so you can limit the unhealthy ingredients. Can Cats Eat Cooked Rice? If your cat is going to eat any rice at all, it should definitely be cooked. As discussed above, uncooked rice is never a good idea. It’s unlikely that your cat would want to eat uncooked rice. There isn’t much appetizing about it! Cooked rice, on the other hand, is much more likely to be investigated and to meet kitty approval. And that’s fine — in moderation. To a certain extent, the answer to this question may depend on the individual cat. Not every single cat reacts the same way to a certain food. By and large, rice is a soothing food. For humans, it’s even included in what is called the “BRAT diet,” which is made up of foods designed to soothe an upset stomach. So rice should not give your cat an upset stomach, unless he has a particular sensitivity to it. However, too much rice may cause another problem, which we will discuss in the next subheading. 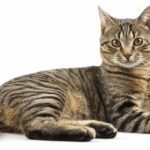 Can Rice Treat Diarrhea In Cats? So what about using rice for cat diarrhea treatment? 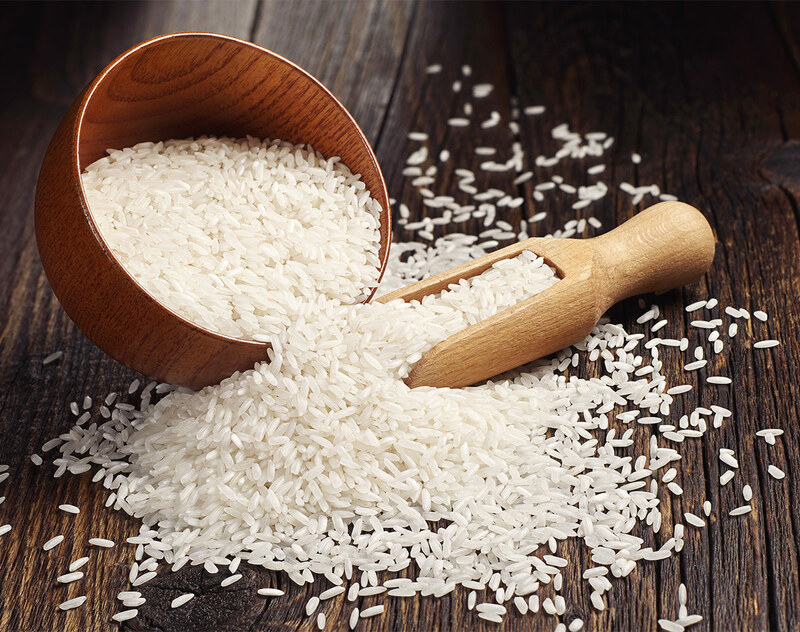 As is the case with humans, rice can be a useful aid in soothing upset tummies or treating diarrhea. It can also be beneficial in cat foods for kitties with sensitivities. When eliminating potentially problematic food from an allergic cat’s diet, rice is often used as one of the minimal ingredients. If too much rice is given, bloat and constipation can be the, ahem, end result! 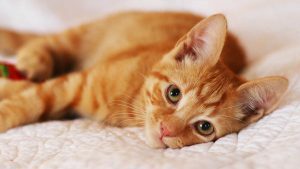 It may be useful for stopping cat diarrhea, but it is definitely not something you want to do over a long period of time. Other problems will likely begin to occur. Kittens can eat rice just as adult cats can. The bigger question, again, is whether they should. Cats are obligate carnivores. This means that they are designed to only eat meat. The most natural way to feed a cat is not with grains. 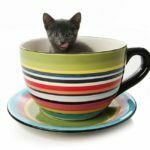 For a kitten, it’s best to stick with a food specifically designed for helping kittens to grow healthy and strong as they mature. These foods may contain some rice, as one of the filler ingredients. But you probably don’t need to feed your kitten rice on a regular basis. Are you looking for different ways to share rice with your cat, or to give it as a treat? Here are a few easy options! Rice is simple to cook, and if you make some for yourself and have leftovers, you can easily adapt them to become a treat for your cat. I know a few pet owners who treat their felines to chicken and rice for cats. Boiled chicken and rice for cats is a soothing, comforting little taste treat, one that most cats I know would be delighted to receive! However, not all cats will take a liking to rice, or even tolerate it well. It’s best to try a small amount at first if you’d like to test your cat’s appetite (or tolerance) for rice. Not sure whether you really want to give rice to your cat? Here are a few other options to take a look at. 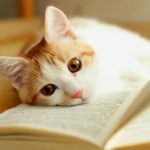 If you’re looking for some other guides about the types of cat food out there, check out these! So, can you feed cats rice safely? Rice often gets a bad rap when it comes to cat food, mainly because it sometimes is misused as a filler. But in moderation, cooked rice will not harm your kitty. But it won’t necessarily help him, either. If you really want to give rice as a treat occasionally, that’s okay. But be sure that he is also getting the necessary amount of protein that he needs to thrive as well. Have you given rice to your cat? You can let us know about your experiences with cats and rice in the comments below. Methods of rice production. Food and Agriculture Organization of the United Nations. Bryan and Franks. 2010. Food allergy in the cat: a diagnosis by elimination. Journal of Feline Medicine and Surgery. Cats are carnivores. They have no NEED for fillers and junk like rice. If you can’t afford to feed you cats premium cat food, don’t have cats. Dry food is horrible for cats. Go with canned or make your own. Educate yourself! Don’t believe everything you read either. NO rice or junk for my 7 cats!